Los Angeles has always been a city of big dreams. So, if you live and work here, it’s easy to believe you can weather any financial storm. Tomorrow will bring the big deal or the big break, and you’ll be back on top again. Unfortunately, that particular tomorrow may be farther away than you’d hoped, so today bankruptcy may be the best course of action. 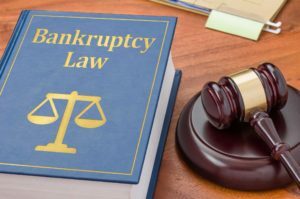 At the Law Offices of Michael Jay Berger, we know the decision to file for bankruptcy is never easy. That’s why our initial consultation is always free. When you visit us, you’ll get personalized attention from knowledgeable and experienced professionals eager to help. Attorney Michael Jay Berger is a Certified Specialist in Bankruptcy Law by the State Bar of California Board of Legal Specialization. He has more than 37 years of experience, helping people just like you throughout greater Los Angeles. Mr. Berger is also AV® Preeminent™ Peer Review Rated by Martindale-Hubbell® for his high ethical standards and professional ability. Chapter 7 — If you earn less than the average Californian and you don’t have many assets you want to protect, Chapter 7 may be the best choice. Chapter 7 bankruptcy allows you to exempt certain assets, such as a car, clothes, some cash, and the tools of your trade. You repay part of what you owe from your existing property and then get a quick discharge of all your remaining eligible debt. Chapter 13 — If you earn a steady income and have a home you want to keep, Chapter 13 bankruptcy may be your best option. Under Chapter 13, you create a payment plan based on your monthly disposable income, and pay a portion of what you owe to creditors for a period of three to five years. Once you complete your payment plan, the court discharges your remaining eligible debt. Chapter 11 — If your business is struggling due to excess debt, you can file for a reorganization under Chapter 11. This way, you can continue to operate your business while repaying a fraction of what you owe to creditors. We have vast experience helping small and medium-sized companies return to solvency. Our attorneys understand the most important issues related to bankruptcy in Los Angeles, including home foreclosures and divorce. We tailor our strategies to the precise circumstances of your case to give you every advantage under the U.S. Bankruptcy Code. If you are trying to live with crushing debt, you should understand the immediate benefits of filing for bankruptcy. As soon as you file, the court issues an automatic stay prohibiting your creditors from contacting you to try to collect what you owe. That means no more collection calls, no repossession of your vehicle or other secured property, and no wage garnishment. In many cases, you can keep your property, and in a short time you can start rebuilding your credit. With the help of our accomplished attorneys, you can regain a firm financial footing. To schedule a free consultation with an experienced bankruptcy lawyer, call the Law Offices of Michael Jay Berger at 310-271-6223 or contact us online. Our Los Angeles office is conveniently located in the heart of downtown. We are two blocks northwest of Pershing Square, at 515 South Flower Street, just off the Sixth Avenue exit of the 110 freeway. "I would highly recommend Michael Jay Berger as an attorney. I was completely satisfied with his services and would not hesitate to call him again for any future legal service needs. "When I consider how Michael was able to offer me a great deal, I think it comes down to his intelligence in being so organized and being able work extremely efficiently. If you are a good person looking for a good lawyer, go to Michael Jay Berger. "I am a business litigation attorney with over 25 years of experience who has had the pleasure of working with Mr. Berger professionally. He is extremely knowledgeable, diligent, aggressive, and the consummate professional. You are in good hands. 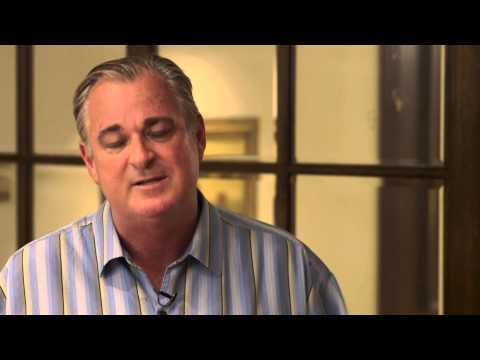 "Mr. Berger and his team have excellent knowledge and have made my bankruptcy process so smooth and easy. I have already referred much friends and family over to him for the excellent service. Rates are competitive but the service is unmatched. I represent debtors and creditors in Chapter 7, 11 and 13 bankruptcy proceedings throughout Southern California. I know the law and I know the courts, the judges and the trustees. I know the local rules and I know the other local Los Angeles bankruptcy attorneys. I can guide you through any bankruptcy proceeding.